Aarhus, Denmark will host the 2018 ISAF Sailing World Championships and for Azad-Ahmad the preparations are well underway, “The ISAF Worlds in 2014 have inspired us in Aarhus to work even harder to prepare for the 2018. In 2017 we will be the European Capital of Culture. The theme is ‘rethink’. I hope that we together can rethink the future of sailing. We are looking forward to welcoming you in our new and rethought part of the city with a new sailing centre. “It is my hope that Aarhus in 2018 will have come from being the European Capital of Culture to being the world capital of sailing.” The second largest city in Denmark, Aarhus is situated on the eastern side of the peninsula of Jutland. With a history extending back to the Viking Age, Aarhus has sailing imprinted in its DNA. The competition venue will be established at a new Aarhus International Sailing Centre in Aarhus Yachting Harbour. Easily accessible and within walking distance of downtown Aarhus, the area is a favourite destination for residents and tourists alike who enjoy the restaurants and shops as well as clean bathing waters, fishing and fresh air. Aarhus has welcomed several world class sailing events in recent years including the 2008 ISAF Youth Sailing World Championship, 2010 505 World Championship, 2011 A-Cat World Championship and the 2013 49er and 49erFX European Championships. More than 1,000 of the nation's Olympic sailing hopefuls hit the water across England, Scotland, Wales and Northern Ireland over the weekend. News • Dutch Match Cup | 24-28 September 2014 | Lelystad, Holland: "The first edition of the Dutch Match Cup is finished, there is a winner. Taylor Canfield with his team US One wrote history by winning this Cup. “It feels great to win over here. A hugh moment for us at the Dutch Match Cup.” An excited Canfield now heads up to a second place in the overall results. Ian Williams, the leader in the season rankings of the Alpari World Match Racing Tour, was placed second. With only two races in the finals, Canfield beats Williams. “Williams was leading in the second race. It’s though racing in these shifty...."
Each weekend, Sail Maine hosts a high school sailing program that pairs students from Maine, Massachusetts and Vermont to race on the open water. MARY'S CITY, Md. -- The Washington College sailing team finished 17th of 18 teams at the St. Mary's College Intersectional this weekend. At the St. The Dutch Match Cup has a unique venue. Close to the shore, Stadium Sailing in the Bataviahaven. Just step on board of match racing. Another exciting day of sailing • Dutch Match Cup | 24-28 September 2014 | Lelystad, Holland: "Canfield is trough to the semi finals, he has sailed a almost perfect Round Robin with only 2 points down. A big concurrent was Richard on a second place with a score 9 out of 12. It is an exciting final round, Hansen is the very last drop out. The Swedish team had trouble all week handling the boats. For Canfield from US One it’s a really good day, they even get some rest before the Semi Finals. “It doesn’t feel like a good day, mostly because we had the feeling that we weren’t as fast as we thought.” The only race Canfield lost was against Swinton. “We had a bit of trouble at the start which put Swinton ahead of us. He took his penalty just minutes before the start giving us a change to head up. But unfortunately we still lost this race.” US One will be watching the quarter finals tomorrow. “There will be some though matches, everyone is really competitive against each other. I really don’t have a clue who we will meet in the Semi Finals.”..."
The Sopot Match Race, the newest event to join the Alpari World Match Racing Tour, raced on the Baltic sea in Diamont 3000 yachts. 12 teams go head to head to see who will take the coveted title, amongst them Ian Williams, leading the Tour after two Stages, chased by the LunaJets team skippered by Mathieu Richard. Taylor Canfield, the 2013 World Champion, looking to keep his hands on the Tour championship, needed to start putting points on the leaderboard as did Stena Match Cup Sweden winner Bjorn Hansen. But could the local talent upset the pecking order with 2 time event winner Przemek Tarnacki and Americas Cup veteran Karol Jablonski pushing hard with huge Polish support. Four days of action packed racing led to an enthralling final just metre's from the Molo Pier. Sopot is the most prestigious sea resort in Poland located on the Baltic Sea, between Gdansk and Gdynia. Full of life during the day and night Sopot offers plenty of sporting and cultural opportunities along with a vibrant nightlife. The stunning racing venue is located only tens of meters from the beach and the longest wooden pier in Europe - the famous 550m long Molo pier which attracts over 20,000 people every day. Social activities are centred around the Sheraton Sopot Hotel and the racing is held out of the brand new yachting Pro Marina located at the end of the Molo pier. Top has to work harder to stay on top • Dutch Match Cup, Lelystad, Holland: "25.09.2014--The sailors are learning really fast in the boats. Tactical moves and surprising results tell the difference comparing to yesterday. The top 3 sailors from yesterday try to stay on top, but it’s getting harder and harder. Gilmour beats Canfield in the first race today. Another surprising result we see in the race Hansen vs Williams. During the first match today Canfield wins the start but Gilmour seizes the lead at the first mark. The Aussies do have a penalty from the pre-start, just before finishing they spin and beat Canfield. It’s the first point for Gilmour and the first match down for Canfield, this means a change in the top results. Another exciting race happens between Hansen en Swinton. A lot of penalties were given during the pre-start, and then Swinton crosses the start early. He restarts and receives a penalty, putting Hansen in the lead of the match. It results in a win for Hansen, their first victory this week...."
Suspected €80m worth of cocaine seized after armed Navy team storm yacht off Irish coast - Independent.ie: "...The yacht was boarded some 200km off the Cork coast in challenging conditions before lunchtime yesterday. The boarding took place after the Naval Service had been on standby for the yacht’s arrival off the Irish coast since last Sunday. The intelligence about the vessel came from the Lisbon-based Maritime Analysis Operations Centre-Narcotics (MAOCN). An armed Navy boarding team from the LE Roisin led the operation with the occupants of the yacht not putting up any resistance when confronted 200km off the Mizen Head..."
Round Robin day 1: getting to know the boat • Dutch Match Cup | 24-28 September 2014 | Lelystad, Holland: "... The teams tried to get to know the boat this first day of racing. After the practice sessions they already figured out some of the difficulties in sailing. Bjorn Hansen, who didn’t set a score today, explains they are still learning from the boat. “We still have to figure things out on the boat, so this was really a learning day.”..."
Taylor Canfield goes for a podiumspot • Dutch Match Cup | 24-28 September 2014 | Lelystad, Holland: "... Canfield plans to take it up against Williams, the current leader of the Alpari World Match Racing Tour. “To get high up on the leaderboard we have to get up on the podium results, that’s our goal for the next two events.” This morning he has to wait for the first flight. “We still have to figger out a plan to win the Dutch Match Cup, so the first thing we do today is watching the other teams sail.”... "
Saturday – Sunday November 15 – 16, 2014. 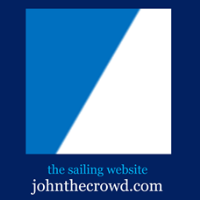 Corinthian Yacht Club of Seattle 7755 Seaview Ave NW, Pier V. Become a US Sailing Certified Judge! Marion Lepert ventures into sailing after windsurfing. Depth Propels Stanford. Catching Up with Hans Henken. Cardinal Named All-Academic. Finals Weekend at the Chicago Match Cup, Stage 4 of the Alpari World Match Racing Tour. ALPARI World Match Racing Tour - News: "Lelystad, Netherlands (23 Sept 2014): Twelve teams are about to start racing at the inaugural Dutch Match Cup, the latest addition to the Alpari World Match Racing Tour (AWMRT). With the contest due to begin on Wednesday, today the sailors are making the most of practice in the Maxfun25 keelboats in Lelystad, less than an hour’s drive from Amsterdam. None of the top seeds has raced these boats on these waters before, so it will be a fast learning curve as they get to grips with the specifics of the venue and the equipment. The seven Tour Card holders have only just flown in from the Chicago Match Cup which concluded on Sunday with a thrilling final between Taylor Canfield’s US One team and Ian Williams with GAC Pindar. Based on recent form, these two crews rank among the favourites in Lelystad, although there will be other teams that know they have to break Williams’ stranglehold on the top of the Tour leaderboard. Mathieu Richard and LunaJets have had a good season and sit in 2nd overall, albeit on 74 points, a full 20 points behind the British five-time World Champion. After four events this season, GAC Pindar has taken 94 points from a possible maximum of 100." Charity Regatta Rallies as Alibaba Keeps Sailors at Work - Bloomberg: "Alibaba’s (BABA) initial public offering put a slight damper on the fourth annual New York Harbor Regatta. With just a couple of days’ notice, some of the bankers scheduled to sail on Sept. 19, the day of the IPO, pulled out of the races, which benefit programs at the maritime-driven New York Harbor School on Governors Island. “Because of Alibaba, we scattered to other boats,” said Strother Scott, an associate at H.I.G. Capital in Boston, who had planned to sail on a family boat... Credit Suisse and Goldman Sachs, two of the underwriters of the Alibaba IPO, were the event’s lead sponsors, along with Two Harbors Investment Corp. (TWO) Deutsche Bank was also an underwriter of the IPO. The conditions on the water were not as favorable as those for Alibaba. The race started with a “nice northeasterly breeze, then the wind shifted 300 degrees,” said Julian Fisher, chairman of the race committee at the Seawanhaka Corinthian Yacht Club of Oyster Bay, New York, who presided...."
ROYAL VISIT: Youngsters from East Barnby Outdoor Pursuits Centre greet HRH The Princess Royal at Scaling Dam Sailing Club in North Yorkshire. The Island Sailing Club Bart's Bash race got off to a flying start on Sunday with 29 boats managing to make it to the start line to race. No points were given to Gerry Faram in Ding Dong D who managed to break his rudder before the start and had to be towed home. Must try harder!.. French Awarded IOC President’s Trophy As Santander 2014 Closes: "At the closing ceremony the French team received the IOC President’s Trophy which is presented to the best overall performing nation. Julien Bontemps (FRA) and Charline Picon (FRA) started the medal rush as they picked up men’s and women’s RS:X honours with Thomas Goyard taking men’s bronze. Billy Besson and Marie Riou (FRA) gave the nation a further gold to celebrate, picking up Nacra 17 gold with a day to spare. With 138 Rio 2016 Olympic Sailing Competition places up for grabs across the ten Olympic events, thirty nine nations have secured at least one spot on the Rio start line. ISAF Vice-Present W. Scott Perry brought the championship to close saying, “We have just concluded the most important sailing event between the Olympics. It is the time we classify 50% of those who will go to the Olympics." Australia has capped off a mixed campaign at the sailing world championships with two bronze medals and qualification for six Rio Olympic events. Oshkosh's century-old passion for sailing: "Oshkosh had the pleasure this summerof hosting the Inland Lakes Yachting Association Championship Regatta. More than 100 boats participated in this year's event — a vast increase from the 22 yachts entered for the great race in 1903, the largest fleet that at the time had ever sailed in a regatta..."
Poignant Bart's Bash races will precede the new attempt to bring America's Cup back to Britain - Telegraph: "The sailing community will raise funds and remember Olympian Andrew Simpson this weekend - while the official America's Cup launch has focused minds on the big prize"
David Camilo, 29, has been waiting for this moment for six years. That's when he started sailing with the Lake Norman Special Olympics team. British sailors Hannah Mills and Saskia Clark have won bronze in the 470 class at theSailing World Championships in Spain. They seem to take them for granted, as is the case many of the other special features of what is a remarkably successful fishing and sailing port. Golden Day For French RS:X Racers - Latest news: "Picon had sealed Women’s RS:X gold overnight whilst Bontemps had a comfortable lead in the men’s and needed a solid race to seal the deal. With tough sailing conditions on the Duna Course that saw winds gust up to 25 knots there was plenty of shuffles in the pack as the action played out in front of a capacity crowd and a worldwide TV audience. Przemyslaw Miarczynski (POL) took silver and Thomas Goyard (FRA) took bronze in the men’s fleet. The home crowd had something to cheer about in the women’s division as Spain’s Marina Alabau sealed silver ahead of Maayan Davidovich (ISR)." Action Ramps Up At Santander 2014 ISAF Worlds - Latest news: "It was another day of good breeze with an average of 15 knots across the race tracks that hosted the fleets. The Medal Race places have been decided in the Men’s and Women’s 470 and the 49er, 49erFX, Finn and Nacra 17 leader boards have shaped up nicely heading into the penultimate day with plenty of equations still possible...."
A race in honour to Andrew Simpson, olympic champion, who passed away last year during the America`s Cup Celebration - Latest news: This Sunday: "... celebrating a race in honour to Andrew Simpson, olympic champion, who passed away last year during the America`s Cup Celebration"
Bryony Shaw says she blew her chance of a women's windsurfing medal after finishing fifth at the World Sailing Championships in Santander. Santander 2014 ISAF Sailing World Championships - Thursday, Sept 18th Video Above - Marit Bouwmeester (NED) took a ten point lead into the Laser Radial Medal Race and finished third to seal the deal with Josefin Olsson (SWE) taking silver and Evi Van Acker (BEL) picking up bronze. Nicholas Heiner (NED) dominated the Laser Medal Race as he emphatically sealed the world championship title. Tom Burton (AUS) had to settle for silver whilst Nick Thompson (GBR) takes bronze. Double Dutch Gold In Laser And Laser Radial At Santander 2014 ISAF Worlds - Latest news: "Marit Bouwmeester (NED) took a ten point lead into the Laser Radial Medal Race and finished third to seal the deal with Josefin Olsson (SWE) taking silver and Evi Van Acker (BEL) picking up bronze. Nicholas Heiner (NED) dominated the Laser Medal Race as he emphatically sealed the world championship title. Tom Burton (AUS) had to settle for silver whilst Nick Thompson (GBR) takes bronze." ... 2016 Olympics, after she did well enough at the ISAF World Sailing Championships in Santander, Spain.